X-rays are a useful tool that can help dentists spot signs of tooth decay so that it can be treated before it gets worse. X-rays use ionizing radiation in small doses that can potentially cause longterm cumulative damage. It is therefore best to use x-rays only when needed, especially in children, who are more susceptible to damage from radiation. Before deciding to take x-rays, a dentist should examine your child’s teeth for signs of decay and discuss your child’s nutrition, oral hygiene, and fluoride use. If your dentist has reason to suspect that your child is at risk for tooth decay, x-rays may be in order. Dentists use several types of x-rays to make a diagnosis. Bitewing x-rays show both upper and lower teeth in the same film and show molars from the crown to the level of the bone. Bitewings can help a dentist spot decay between teeth and changes in bone that are the result of gum disease. Periapical x-rays show an entire tooth from the crown to beyond the end of the root in the jaw bone. Periapical x-rays include all the teeth in one part of the upper or lower jaw. They can help a dentist diagnose problems below the gum line, such as impacted teeth, abscesses, or cysts. Panoramic x-rays show all the teeth in one x-ray. They can help the dentist see the positions of unerupted teeth and abscesses and evaluate your child’s growth and development. 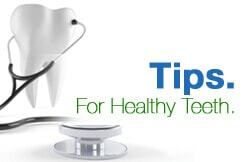 Periapical or panoramic x-rays can be used to monitor the development of the wisdom teeth. The U.S. Food and Drug Administration and the American Dental Association have created guidelines for when x-rays should be taken of children’s teeth. The frequency depends on several factors, such as a child’s oral health, risk for dental disease, and developmental stage. Dentists are encouraged to follow the principle of “As Low As Reasonably Achievable.” In other words, they should take only the x-rays that are necessary to accurately diagnose dental problems. For a child 1 to 5 years old with no permanent teeth, the first visit might include bitewing x-rays of the back teeth, unless gaps allow the dentist to see the sides of the teeth. The dentist might also take periapical x-rays, especially of the front teeth. Bitewing x-rays are recommended every six to 12 months for a child with active tooth decay or a history of cavities and every 12 to 24 months for a child with no history of decay. For a child 6 to 12 years old with some or all permanent teeth, the dentist might take bitewing x-rays of the back teeth, periapical x-rays (usually of the front teeth), or a panoramic x-ray. Bitewing x-rays are recommended every six to 18 months for a child with an increased risk of tooth decay and every 12 to 36 months for a child at low risk. For an adolescent with permanent teeth but no wisdom teeth, the dentist might take bitewing x-rays of the back teeth, select periapical x-rays, a panoramic x-ray, or a full mouth survey of x-rays if there is evidence of widespread disease. Bitewing x-rays are recommended every six to 18 months for a child at risk of tooth decay and every 12 to 36 months for a child at low risk. Dental x-rays of children should only be taken when necessary. Just because your insurance plan covers a certain number of x-rays, that does not necessarily mean you should have them taken. Your dentist will use clinical judgment to decide when x-rays are necessary for your child.